We pride ourselves on using the best high-tech agribusiness practices with some of the lowest prices in Indiana. Our founders were farmers just like you, and our team continues their tradition of service and farming excellence. Our partnership with some of the best agribusinesses out there provide you with the tools for greatest farming success. We own two farrowing operations and one finishing facility. We farrow nearly 6,000 sows and finish 120,000 pigs annually. Let our expertise in farming work to your advantage. Local facilities for storing products on site and distribution. 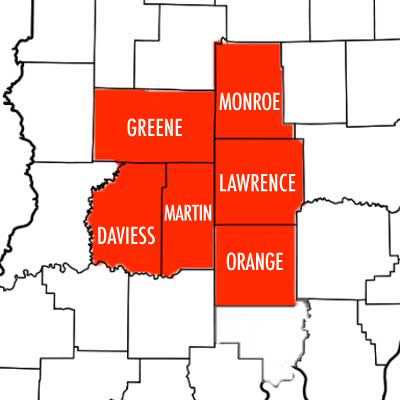 We service 6 counties in Southern Indiana. Up-to-date farming technology: soil testing, crop consultation, Precision Planting, 360 Yield Center. The best products and services: fertilizer, chemical, seed, propane, fuel, feed, grain and more.